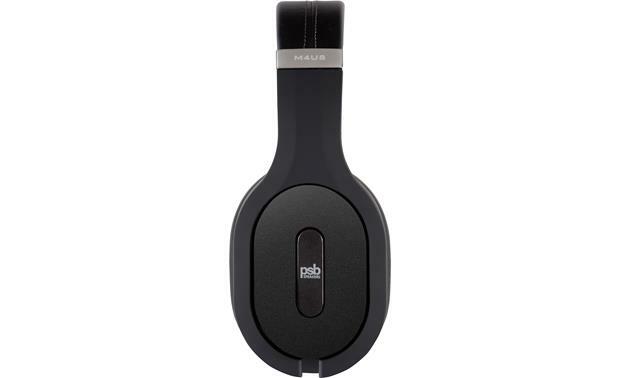 For years, PSB's M4U Series headphones have been among our best-selling noise-canceling models. 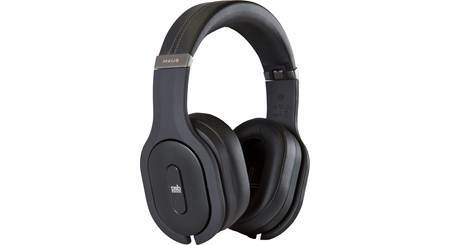 For years, PSB's M4U Series headphones have been among our best-selling noise-canceling models. And they are also among the best-sounding. The M4U 8 headphones are PSB's first noise-cancelers to play music wirelessly from your phone — the way most of us listen to our tunes, these days. The PSB M4U 8 noise-canceling headphones play music wirelessly via Bluetooth. But legendary speaker designer Paul Barton — whose initials make up the company's name — didn't just rush out this wireless version. He patiently waited for wireless technology to advance to the point where it met his high standards. These M4U 8 'phones feature a state-of-the-art Bluetooth chipset that promises a reliable wireless connection and strong audio performance. When you listen to loudspeakers, the room plays a big part in how they sound. 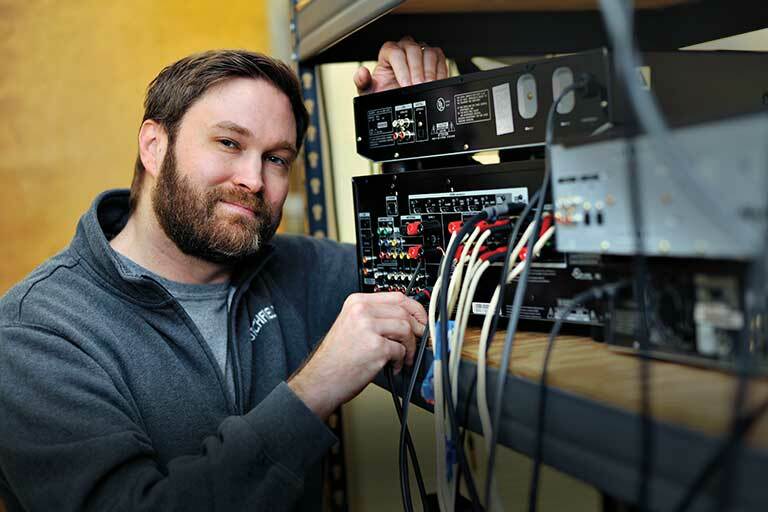 For instance, here at Crutchfield, if we audition the same pair of speakers in both our sprawling training room and our cozy home listening lab, the results are strikingly different. These headphones don't have the lifeless sonic characteristics of an isolated chamber. Barton has fine-tuned the sound to emulate a pair of PSB speakers in an acoustically ideal home setting — with just the right amount of reflection and absorption. His patented RoomFeel™ technology re-creates the energy and character you get from the real-world listening space. There's a switch on the right earcup that lets you turn noise-canceling on when you're on a plane or train, or in a busy office. 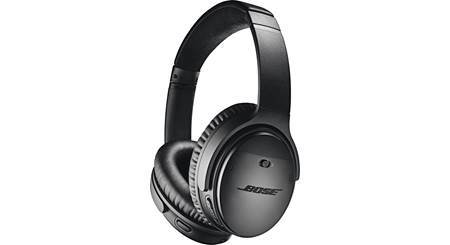 Two AAA batteries give you about 15 hours of wireless listening with noise cancellation. You can save some battery life by listening wirelessly without it. But if your batteries go dead, you can still listen to music. Just connect the included headphone cable to your device and switch over to "passive" mode. PSB's noise cancellation uses four built-in mics to neutralize external sounds. But those same mics can help pick up external sounds, too. An on-ear button lets you temporarily turn off the noise-canceling technology so you can hear people talk without removing the headphones. There are also on-ear controls for music, volume, and phone calls. Bought these for my husband for his birthday. He loves them! Now he can go wireless while he's mowing the lawn without any interference. 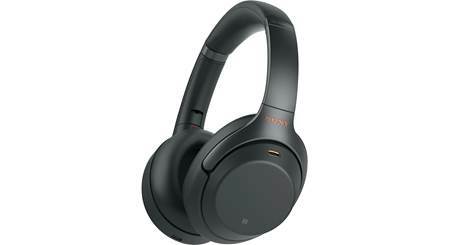 Earcup Width x Height 2.807" x 3.883"
Overview: The PSB M4U 8 wireless active noise cancelling headphones are part of the Music for You (M4U) series of high performance headphones. 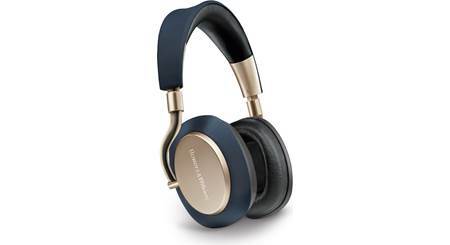 The M4U 8s feature an over-ear (circumaural) design with a closed back to keep out ambient noise. 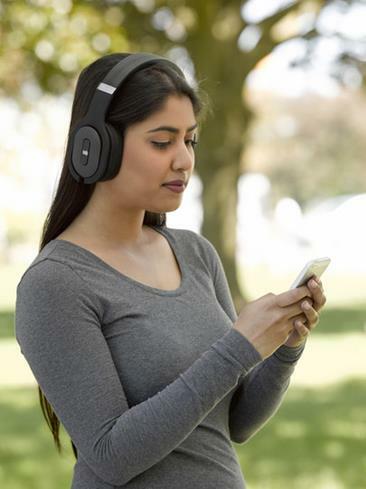 Bluetooth wireless technology lets you enjoy your music without being tethered to your phone, while Active Noise Cancelling shuts out ambient noise so all you hear is your music. The headphones come with an extra pair of ear pads, an audio cable, 3.5mm-to-1/4" and airline adapters, a USB charging cable, and a zippered hard storage case. 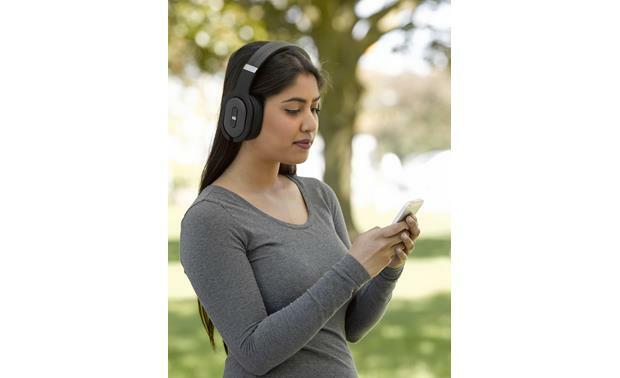 Materials: The M4U 8s feature comfortable leatherette ear pads and headband with memory foam padding. The 40mm drivers drivers are housed in a closed ABS/polycarbonate enclosure. The spring steel headband expands to keep the headphones securely on your head with just the right amount of pressure. The ear cups have a gyro-action suspension for ultimate comfort and to help shape the headphones to your head for an airtight seal. Bluetooth aptX HD: You can listen to music wirelessly with Bluetooth aptX HD, which supports 48kHz/24-bit LPCM audio data for "better-than-CD" sound. 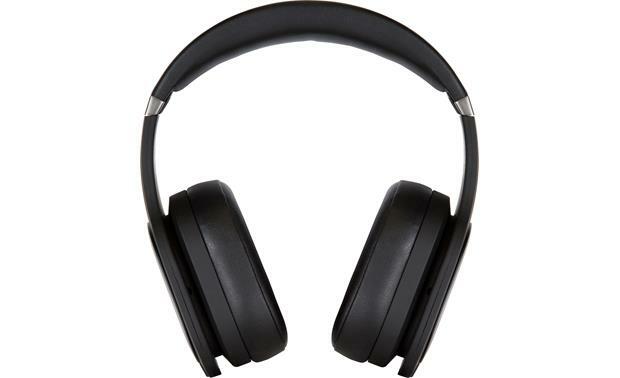 The headphones also support NFC (Near Field Communication) for easily pairing your headphones to your NFC-enabled device by touching the device to the N-mark, located just above the right ear cup. Active Noise Cancelling: PSB's Active Noise Cancellation (ANC) utilizes four microphones to pick up ambient noise from all sides and send it to the internal headphone amplifier. The amplifier inverts the audio signal to cancel out the noise, so all you hear is your music. While in ANC mode, you can engage the Active Monitor (by pressing the volume button), which reduces your current audio track by 30dB to enable you to hear your surroundings. The surrounding audio will be amplified through the headphones, so you can carry on a conversation without removing your headphones. RoomFeel: PSB's exclusive RoomFeel technology makes the headphones sound as if you are listening to your music in a room on high-quality speakers instead of headphones. RoomFeel adds the clarity and energy produced by a listening room, giving you the sensation of being surrounded by the music. This "room gain" adds more realism to your listening experience, making it sound more like a live performance. Bluetooth: The Bluetooth button puts the headphones into pairing mode for wirelessly connecting to your device. Volume: The volume control is a 3-way lever for turning volume up or down. Pressing the button activates the Active Monitor. ANC/Active Mode: This 3-way slide switch lets you select ANC (active noise cancelling and internal amplifier), Active Mode (using the internal amplifier without ANC), and Passive Mode. In Passive Mode, the Bluetooth connection will not work. Phone/Music Control: This 3-way lever controls both your music playback and phone calls (when connected by Bluetooth). In music mode, you can pause/play by pressing the button, and can slide the button up/down for previous/next track. When a call comes in, you can answer the call and pause your music by pressing the button. Once the call is complete, pressing the button will end the call and resume audio play. Audio Cable: The M4U 8 includes a 5' tangle-free audio cable for listening to your music in passive mode. There are 3.5mm audio jacks on the bottom of both ear cups, allowing you to plug the cable into one or the other. In passive mode, the onboard audio controls are disabled, so you'll have to control your music on the device. 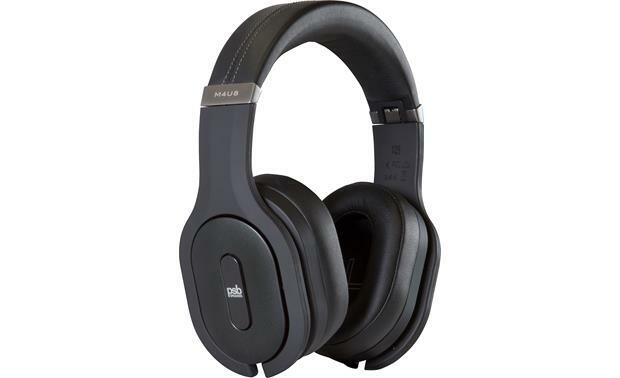 The audio cable comes with a 3.5mm-to-1/4" adapter for use with audio equipment with a full-size headphone jack, and an airline adapter for connecting to in-flight entertainment. USB Cable: The included 4' USB cable has a dual purpose. You can use it to charge the battery in your headphones by plugging it into your computer or a USB power adapter (DC 5V, 2.4A or less). You can also listen to audio from your computer. Battery: The M4U 8 is equipped with a 1.2V, 750mAh rechargeable battery for powering ANC and Active Mode. The battery charges via USB in approximately 4 hours. Average battery life is approximately 15 hours. The 3-position power switch will start flashing when you have approximately 1 hour of battery life remaining. 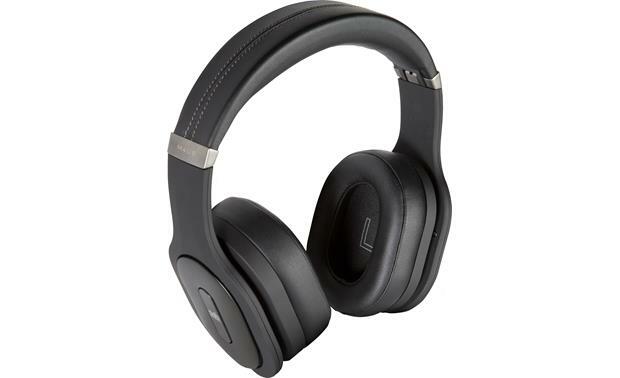 Searches related to the PSB M4U 8 Wireless Bluetooth® over-ear headphones with active noise cancellation.